When it comes to pigmentation there are lots of ways to blitz it and one of the most studied ingredients is good ole niacinimide, a form of vitamin B. 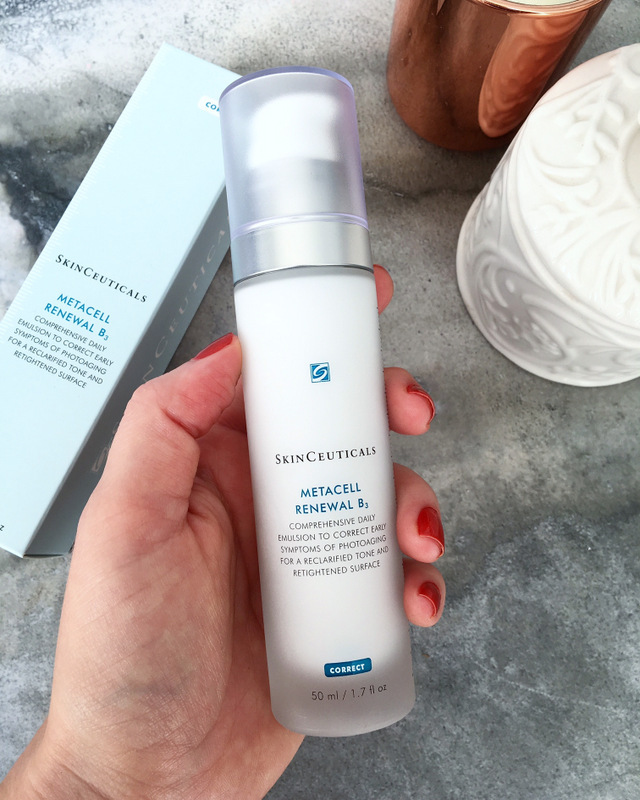 This is the star ingredient in Skinceuticals’ lovely new lotion – Metacell Renewal B (R1 799, Dermastore). Better yet, they’ve used in a very high concentration – 5%! Yay for airless pump packaging! Niacinimide aside, Metacell Renewal B also contains a mix of peptides to help hydrate and plump and is largely glycerin-based, so it’s fabulously hydrating but feels feather light on your skin with a subtle silkiness that plays really, really well with foundation. As an oily-combo girl I can happily wear it alone without aggravating the oilies. Someone with a very dry skin type, however, could use it as a serum. At present, I don’t have any pigmentation on my face because I’m fanatical about sunscreen but do have a little on my chest so I’ve just started using it there too. If I can see any difference in four weeks’ time I’ll be sure to update and let you know. You’ll see niacinmide sits nice and high in the ingredients list. As far as the price point goes, it isn’t exactly wallet-friendly if you’re on a tight budget but it’s also one of two products in South Africa that use niacinimide at such a high percentage. The other one that I can think of off the top of my head is pHformula Vita B3 Cream (also 5%) which is almost R900. This might make it a more affordable option but bear in mind that you’re not getting the added peptides. I also found its texture quite heavy so if you’re combination-skinned it’s something you could only really wear at night. Even more broke but want niacinimide in your life? A decent drugstore pick is Olay Regenerist micro-sculpting super firming serum (R320). They don’t disclose the percentage but having taken a look at the ingredients list and doing a bit of research online I’d put it at least 2%. Hi Leigh! Please recommend a good lotion to help repair skin barrier, my combo skin not handling the change of season well. Was looking at Lamelle Serra and pHformula MD POST Recovery Cream. Any thoughts? Hi hun! Apologies for the slow reply. I’ve only spotted this now. Both of those brands are good ones but I’m not sure which Serra product you’re referring to and haven’t tried pHformula’s recovery cream. Tell me, why do you think your barrier function is out of whack? Combination skin usually isn’t that prone to dryness, both those formulas are VERY rich and two of the tell tale signs of skin with bad barrier function is dryness and sensitivity. Tell me more about what’s going on and I’ll see if I’m able to help. Hi Leigh, I went for a facial last week and that’s what the therapist told me. I thought it might be dehydration because my skin felt tight and my cheeks flushed (does that make sense?). Thank you for your time and concern. You are just the best and 36..? WOW!! More beauty advice please!! Sorry hun, I’m not a shop. You’ll have to contact Dermastore.co.za. This is one of my favorite skin care lines! 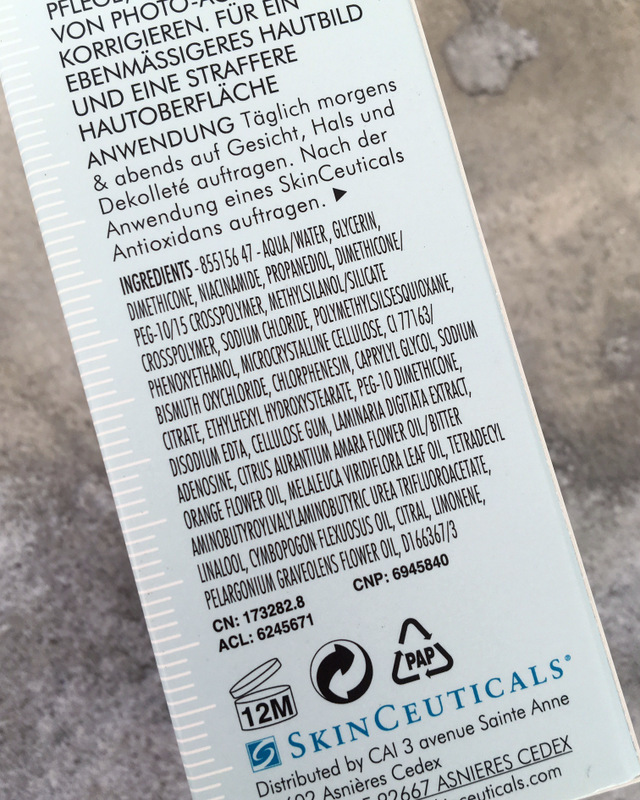 I just bought a bottle of their Sunscreen (the Allure Beauty Winner) in the US Dermstore today! I can’t wait for it to arrive.